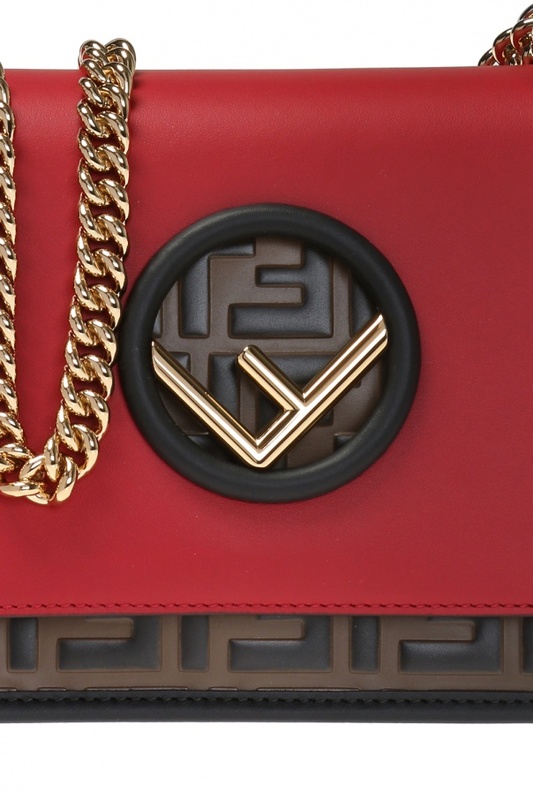 Red, brown and black 'Kan I' shoulder bag from Fendi. Size mini. Made of calf leather. Fastened with magnetic snap button. Enriched by embossed logo. Round insert including metal logo at the front. Chain and leather shoulder strap. Beige faux suede-lined interior has 1 compartment and 1 card slot. Gold-tone and silver-tone metal hardware.